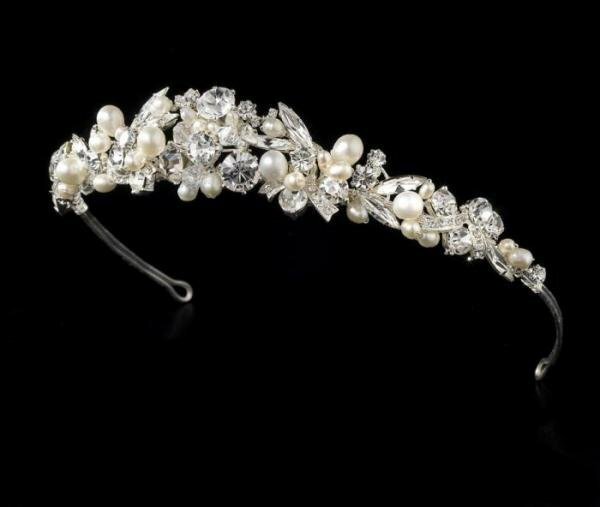 This stunning silver plated headband features an assortment of faux ivory pearls,freshwater pearls, sparkling rhinestones and Swarovski crystal accents in various shapes & sizes. A lovely wedding hairpiece for any upstyle. Measures 20 cm wide and 2.5 cm tall.